Medicine and society know well the consequences of drug use. The psychoactive substance is considered to be the slow-acting poison that is gradual, step by step kills the body and soul. At the early stages of dependence, a human has a sharp change in behavior, an unusual manifestation of his earlier responses, frequent cases of inadequate behavior. When the relationship evolves, such “roughness” is smoothed and patients become similar to the other, regardless of the type of used substance. In everyday life addicts mostly have depression and pessimism. Lies, degradation, pain, emptiness – these are the words that best describe the behavior and feelings of the addict. The life of such a person loses all the colors except for the state of euphoria and reduces to a single goal – the taking of the drug. Drug abuse is a widely discussed and debated topic in society, and for some countries this is a problem on the way to its development. This is not surprising because the consequences of such lifestyle are a threat not only to the specific single person but for the people around him. Scientific evidence shows that drug dependence is growing rapidly, but its availability affects the whole body, including the psycho-emotional state. The man who chooses drugs falls into a dead end from which is not so easy to get out and, even worse, the vast majority do not find a way out of this trap. Once again inverted drug addict falls into a completely new, unknown to him the world, with challenges and the rules which he has to meet. On the one hand, this world – is the absolute idyll where there is no room for fear, experiences and responsibilities. But on the other hand, it is full of physical and moral pain. The reality of addict is accompanied by regular brittle, nervous disorders, apathy, rotting teeth, hair loss, indigestion, lack of sleep and impotence. There is a process of decay of the whole body, caused by the use of narcotic poison. The notion of “private life” for the addict does not exist in principle because the drug becomes the main and the only love of his life. It absorbs a man entirely, so there is no place for future or existing family. And there are can’t be questions about children at all. Of course, they can be born, but it will be difficult for an addict to give them a necessary care and the attention because the life of an addict is entirely devoted to the extraction of “buzz.” And if before the dependent will be a choice of “family or drug”, most without much hesitation, choose the last one. Work and career as a family lose all meaning and interest for the addict. Because of its “specific” state people tend to lose their work forcibly or willingly, because they can’t fulfill their tasks and functions. Of course, what do you mean at the marketing, lending and sales, if life is a joy (no dosage)? Although, perhaps, the exception are creative professions (artists, musicians, etc. ), which, as they claim, they use drugs, because it helps them see new fridges, worlds, expand horizons. At the same time, a large number of people end their lives in rehabilitation clinics and hospitals of every kind, or worse, die young. The dubious prospect, is not it? For society, drug addicts pose a danger, because this category of people who are not able to control themselves and take responsibility for their actions. 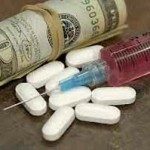 The constant need for money, and, as you know, drugs are not distributed for free, pushes the patient to a different kind of crime, the effects of which may be irreversible. 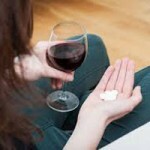 Addiction – is a concept that is incompatible with normal life, and especially health. Almost all addicts suffer from some disorders of the organism, often very serious and incurable. The highest level of infection with various infectious diseases as a result of neglect commonplace rules of hygiene is observed among consumers of psychotropic substances. Blood infection, hepatitis B, and C, HIV and AIDS have become loyal companions of people seriously stuck in drugs. But almost all of them lead to inevitable death. The poison, getting into the body as a drug, adversely affects the operation of all systems and organs of life, in particular, the functioning of the respiratory, endocrine, cardiovascular, nervous and excretory systems. The first to suffer is liver, which has to absorb and filter the mass of poisonous substances. Intimidating the fact that, according to health organizations, the average age at which drug users live, is 36 years. The reason for this sad statistic is the high mortality rate of drug users as a result of overdoses, suicide, medical illness, violence, etc. From a medical point of view, there are no differences between drug and substance abuse. The same thing is about a human psyche. However, distinctive features, in general, still exist. Addicts use substances not added to a single list of narcotic substances. As a rule, these are industrial and household chemicals (paints, adhesives, solvents, etc. ), which can cause intoxication and hallucinations. Another difference is in the way of consumption: addicts in this regard more inventive (swallow, snort, inject, and rub in the mucous membranes), as inhalant addicts are only “sniffing”. It can’t be done in another way, because psychoactive are only vapors of substances that addicts use in practice. The inadequate behavior of both groups of dependent is manifested in increased tendency to suicide and causing themselves variety injuries, such as cuts. Surprisingly, but the sight of blood has a calming effect on the dependent. The “hush” on the freaky jargon is called hemp and all its derivatives. The method of using – is smoking. At first cannabis causes psychological dependence, and then physical. Interestingly, the withdrawal symptoms rarely accompany hooked on “hush” people, most often they cause emotional anguish, and, as a result, and the need for the use of the next dose. Sick by this dependence is rapidly losing weight, becoming irritable and impatient, suffers from insomnia. On the physical side of all this is supported by chills and tremors. This state can last from 3 to 20 days. A single taking of cannabis can cause hallucinations, loss of orientation in space and time, a state of fear and panic. There are not frequent cases of delusions and suicide attempts. This drug is the most popular among teenagers because of its relative cheapness and widespread. For this category of drug users, a motivational syndrome is normal, which is a complete lack of thrust to education and work. And no wonder, because the “hash” more than the others even the most powerful drugs, “dries” the brain, decelerating all mental processes (memory loss, lack of focus, inability to concentrate). In addition, the growing risk of schizophrenia, this, incidentally, can be inherited. Smoking marijuana human has no possibility of damage DNA molecules that are known to contain genetic information. For women, it threatens to infertility and for men – a decrease in sexual activity, and as a result – the next unhealthy generation or, in general, the lack of it. Opium and its derivatives are considered to be ones of the most dangerous drugs. Their destructive power has almost no equal. Opiates cause strong psychic and physical dependence. They inhibit the most important organs of vital activity – brain and spinal cord, thereby provoking the development of dementia. The heart, lungs and liver also fall under attack. Addicts, “taking” opiates well the state of “sweats.” Besides the general severe malaise, the person feels a crazy pain in muscles and joints. For the sake of getting rid of unbearable torment, dependent ready for any illegal action. And also is ready for the other extreme, for example, to commit suicide. Addicts with experience often have a number of chronic diseases and prone to inflammation of the veins, pulmonary sepsis, and endocarditis. Fans of opiates in most cases are carriers of sexually transmitted diseases, AIDS and viral hepatitis distributors. Such people end up as invalids (physical or mental) or do not survive to adulthood at all. Cocaine is a very popular and expensive drug that causes severe mental and less pronounced physical dependence. It gives the state of cheerfulness and disinhibited psyche. Instead, it deprives a person of adequacy, autonomy, and rationality. 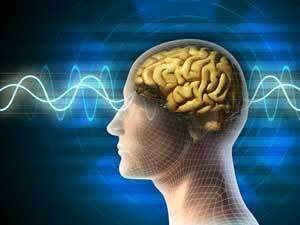 Amphetamines are also stimulants of the nervous system. It is enough 3-5 takings to cause an addiction. Ephedrine contains manganese salt that with prolonged use and accumulation in the body causes paralysis of the limbs and a special kind of incurable dementia. LSD is characterized by instantaneous ability to affect brain cells and cause schizophrenic symptoms. Volatile substances can quickly destroy the body, damaging tissues, and organs. These include acetone, gasoline, glues, paints, deodorants, solvents, etc. they are the most common used substance by inhalant addicts. It is impossible to meet an old addict (60-70-years) and it’s logical – they do not live to a ripe old age. This is only a small fraction of the global statistics. The figures make you think, how many deaths and how miserable existence is carried by drugs. Only one conclusion: life is incompatible with the drug and no drugs are worth a human life. There is one simple truth that you need to remember: there are no “light” drugs. All narcotic substances without exception harm to the body. And so-called “light” drugs are the only moment of transition towards a “heavy”, such as heroin. Therefore, it is not necessary to engage in self-deception, for which you later may have to pay dearly.